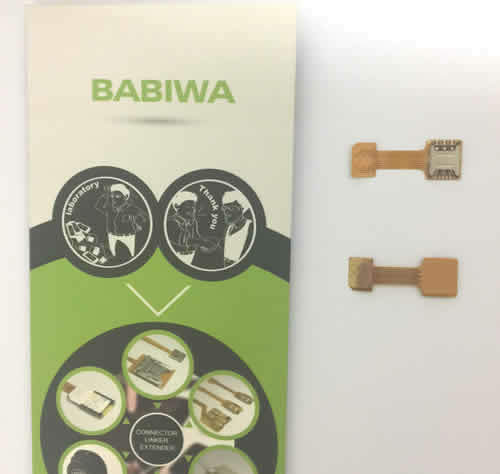 Genuine babiwa series Magic Function-Extending Dual-Simcard Adapter for Universal Huawei Honor (Rongyao) series mobilephone. 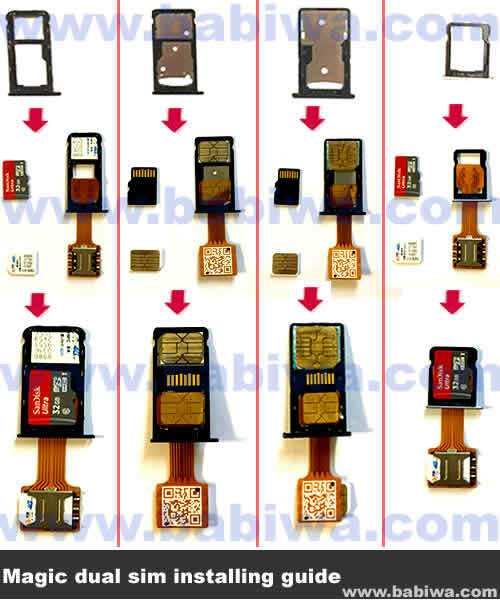 Now with Magic DualSim Adapter,your Universal Huawei Honor (Rongyao) series mobilephone could support SIM1 + SIM2 +MEMORYCARD Online at the same time(Simultaneously)! Newest product! 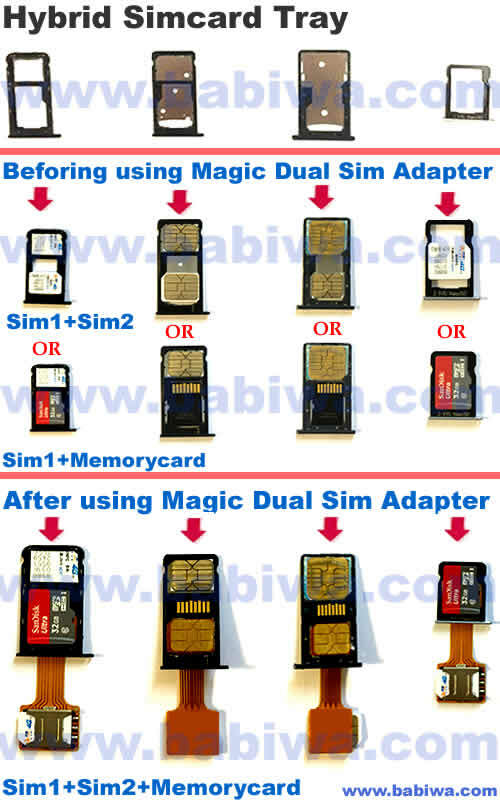 Magic Function-Extending Dual-Simcard Adapter for Universal Huawei Honor (Rongyao) series mobilephone. 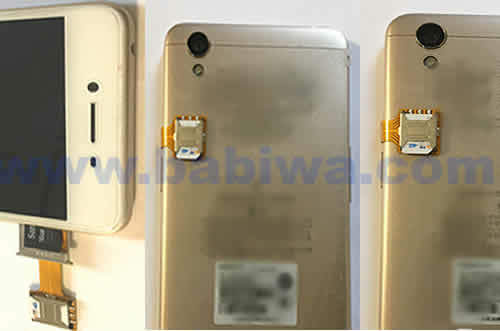 including Huawei Honor9/honor8/honor7/honor6 plus,Huawei V10/V9/V8 ,Huawei Enjoy7 Plus/Enjoy7/Enjoy 6S/Enjoy6/Enjoy5S,Huawei G9 plus/G9/G7 Plus/G7,Huawei Holly 3/Holly 2 plus/Holly ,Huawei 7C/6C/5C, Huawei 7X/6X/5X, Huawei 7A/6A ,Huawei Note 8,Huawei 7i,Huawei Head(maimang）6/5/4/3S/3,Huawei X2 ,Huawei MediaPad M3/M2/X2. 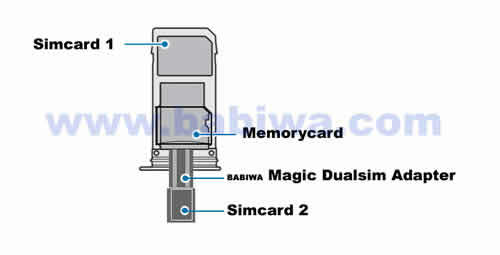 Now with Magic Dual-Simcard Adapter, Your phone could hold 2-Simcards and 1 memorycard at the same time (Simultaneously ) ! 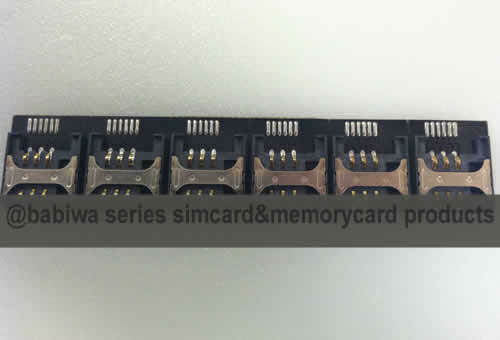 Without Magic Dual-Simcard Adapter ,Universal Huawei Honor (Rongyao) series mobilephone is limited to only "1xSimcard+1 memorycard)" OR Optional "2xSimcards without memorycard" ! 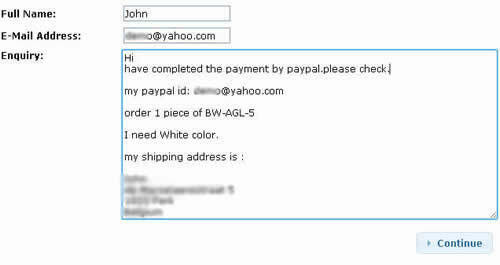 This adapter is very easy to install and doesn't make any change to your phone's hardward or software. 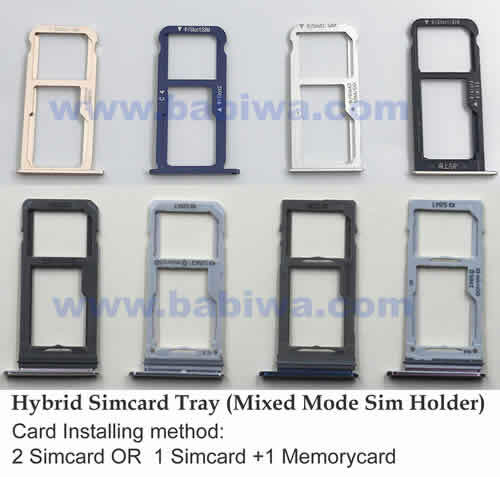 Magic Function-Extending Dual-Simcard Adapter ,Support The mobile phone with one Hybrid Stype simcard tray as Pic shown below. 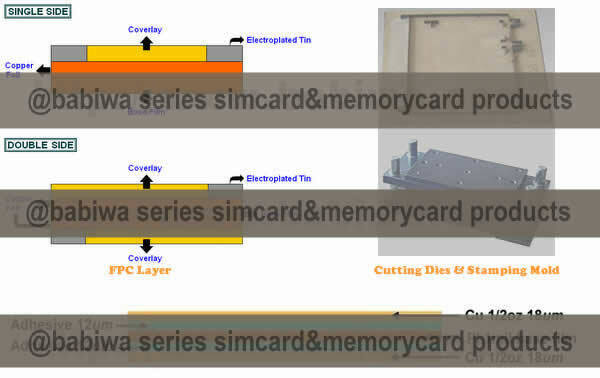 Kind Tips: The Hybrid simcard trays showing in the pic below are just for your reference.the Actual simcard-tray of MODEL may look a little differenect in appearance and color etc.But Don't worry, the installing methos is Quite Easy and always very Similiar without confusing. 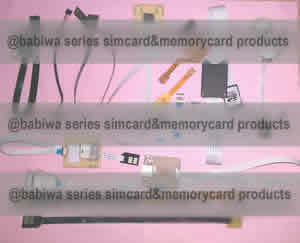 During installing,please just Pay attention to the gold-Coloured Contact of simcard and memorycard. 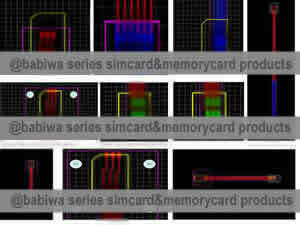 Similiar Installing method on different types of Hybird simcard tray,plese just pay attention to the gold-coloured contact of simcard and memorycard. After installing,the adapter's cable would be extended from the simcard tray,just fold it around your phone and hide it in any soft protective case. 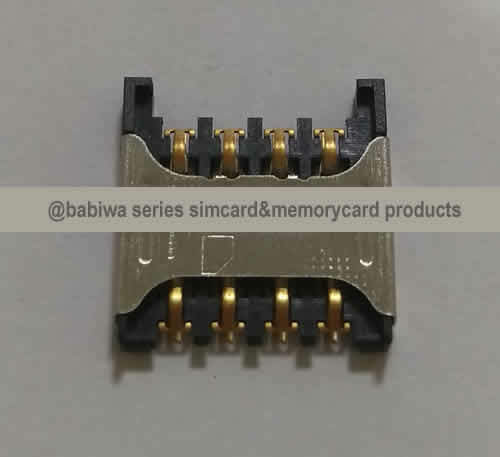 Please Notice this is the Genuine Simcard Adapter Product released from Genuine and Original Patient Owner,Not the Common Fake & Copy products easily found in the market.All Multi sim card adapter series products are under Strict Patent Law Protection . 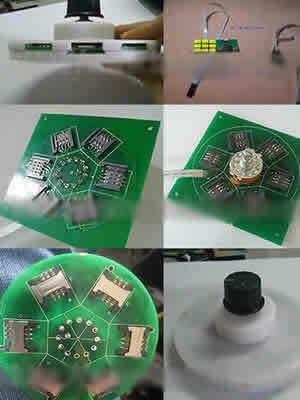 (from some customer's reports,we have noticed Now there have been quite a few sellers selling the fake simcard adapter products in the market with even cheaper price,usually the same packing or the OEM packing without logo,the fake parts use the poor-quality IC inside and many with incompatibility problem,We sincerely recommend all customers to pay attention before your order.it doesnt worth to cost energy and time to try.and BABIWA.COM Never take the responsibility of any countfeit Product which is not from us). 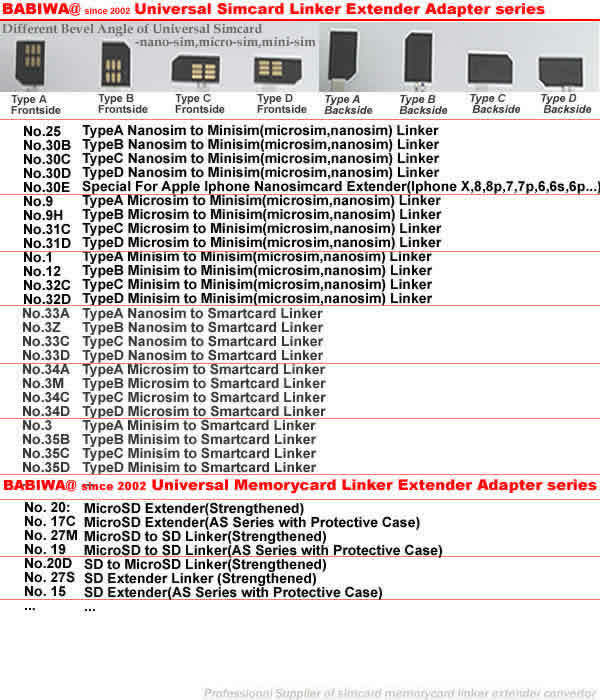 Welcome to refer to our other listings of products related to Simcard/Memorycard Extension Cable. 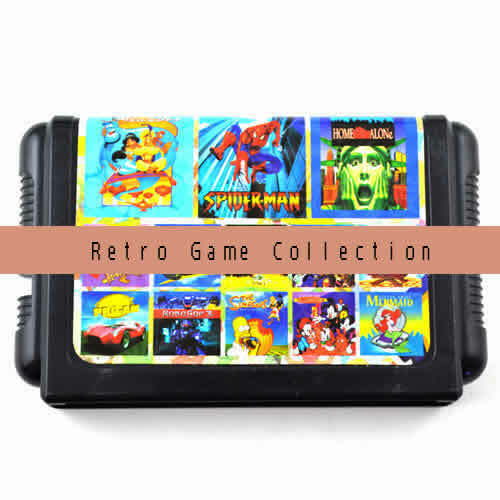 you could find all available at our Products Catalog. 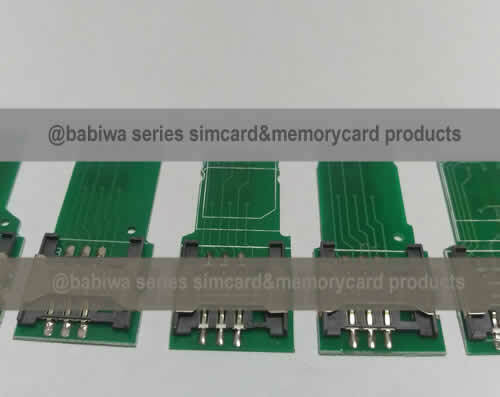 if by any chance you have your special and personalized requests about simcard/memorycard related products as extenders etc,you could contact us through Email system,We could produce based on your need after our negociation. 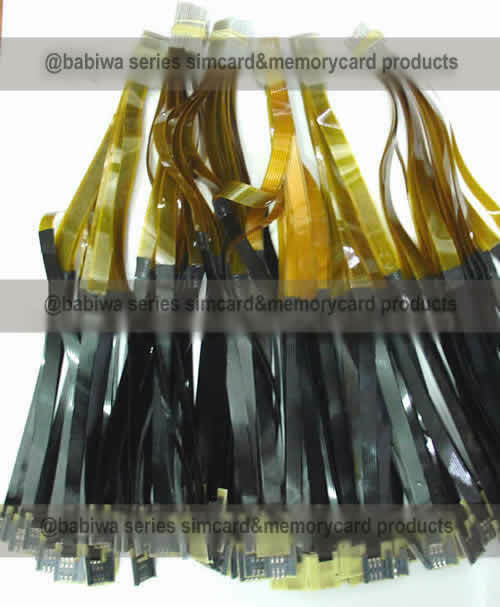 some of our customized samples pic below for your reference,including rotary simcard linker,anti-water simcard/memory linker etc...all samples available from Babiwa@ online store here ,welcome to check or contact us for further inquiry.